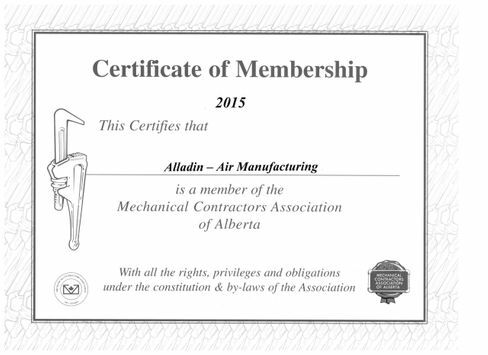 Humidifiers Calgary | About Us | Alladin-Air Manufacturing Ltd. In business since 1963, we’ve got a proud history and we’d love to tell you our story. We are the experts for residential and commercial humidification and fireplaces in Calgary. In the spring of 1963‚ while operating a successful air conditioning business‚ our founder William Slovack, could not sleep. He was suffering from terrible allergies‚ brought on by pollen and the dry‚ dusty air of the Canadian Prairies. He realized typical humidifiers were not adequate to properly humidify a home. He set out to design a simple‚ reliable and durable humidifier that provided year-round humidity control. In December of 1968, Alladin-Air Manufacturing Ltd. was founded‚ and the manufacturing of both commercial and residential humidifiers began. In 1969‚ a close friend suggested developing an Electric Steam Bath Boiler‚ and in 1970 we introduced our SFL series of steam bath boilers. Soon after‚ a steam distribution manifold was engineered to provide steam humidification for both commercial and residential applications and we introduced our HFL series of steam humidifiers. In August of 1980‚ Roger Slovack joined the family business on the production floor and has been active in product design and manufacturing since. 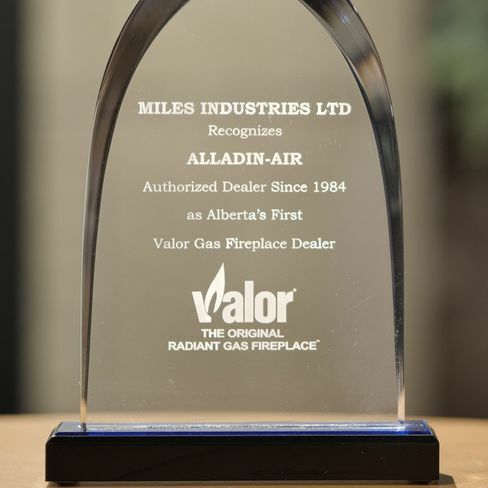 In 1984‚ Alladin-Air Manufacturing Ltd. became a Valor Gas Fireplace dealer‚ and today is the oldest authorized dealership in Alberta. Today‚ with sales of humidifiers and electric steam bath boilers around the world‚ Alladin-Air Manufacturing Ltd. continues to rely on product performance and meeting customers' needs to grow into the future.